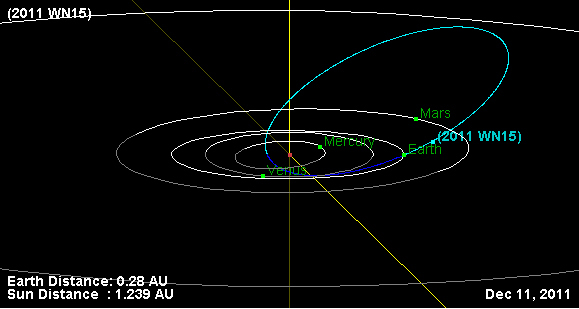 The potentially hazardous asteroid (PHA) passed the Earth on December, 01 2011, 06:59UT in 0.23089 AU. 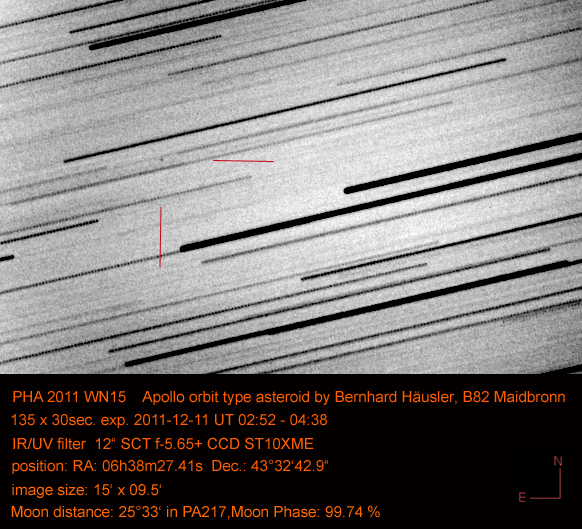 Its period is 1.35 years, MOID = 0.00166483 AU ~ 249,000 km. 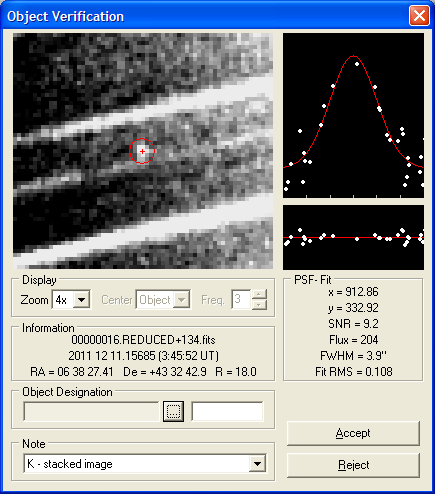 Gauss curve produced by Astrometrica. The total PSF is using the aperture circle of 3 x 3 pixel around the brightest pixel. You see the Gauss curve right as the computed ideal line and the real pixels contributed around the ideal line. The Fit RMS is the deviation from the ideal line (inlay under the Gauss curve).